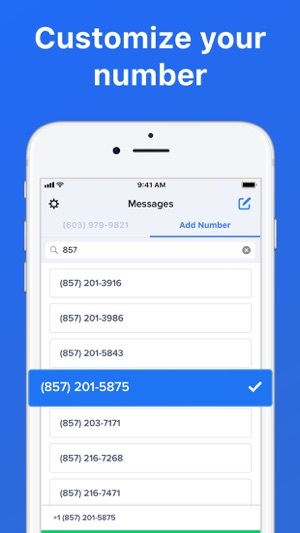 Get a new phone number for texting with Second Texting Number! 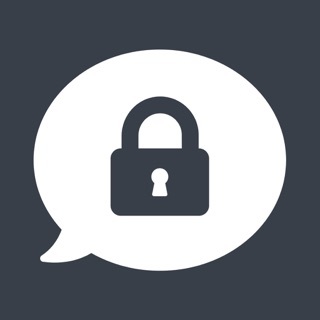 Protect your privacy by sending texts from a new number. Simply open the app and start sending texts. 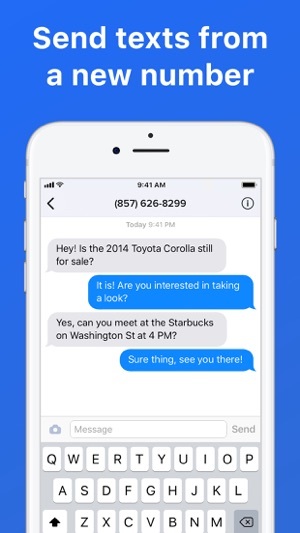 Unlike many other texting apps available, Second Texting Number does not have any annoying or obtrusive advertisements. Need to send photos? 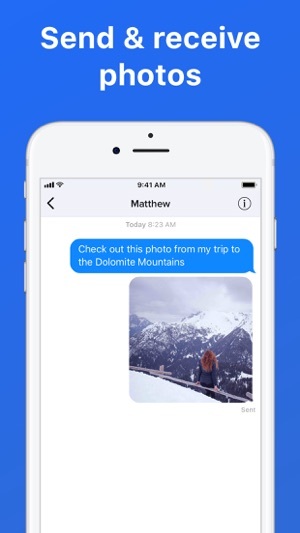 You can both send and receive photos through the app. We've received countless reviews for our top notch reliability, ease of use, and customer service! Your recipient will receive texts from your new number. You can customize your number with any available area code by signing up for a premium subscription. If you no longer like the phone number you chose, you can get a new one at any time. 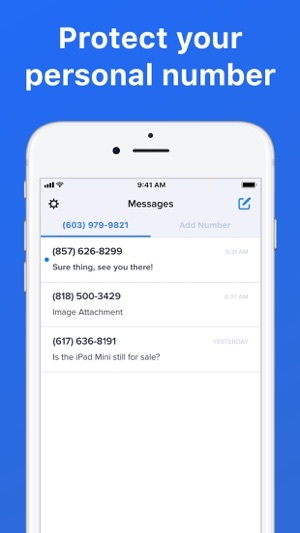 - Second Texting Number offers an optional subscription which allows users to customize their new texting number, send unlimited text messages, and send photos. - Payment will be charged to iTunes Account at confirmation of purchase. Subscription automatically renews unless auto-renew is turned off at least 24-hours before the end of the current period. 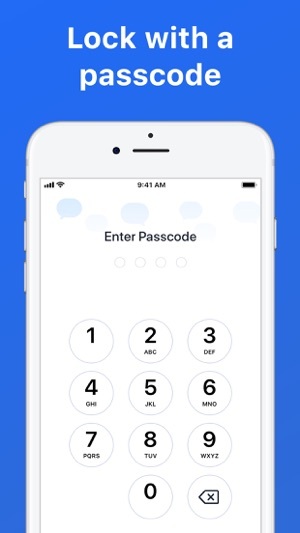 – New: Add an additional layer of security by adding a passcode lock. Subscription required. – Speed improvements throughout the app. Keep sending us your suggestions and we'll consider them for future updates! Like the update? Be sure to leave us a review! I love that they have the option of paying as you go instead of a monthly charge. The customer service is excellent- there was some sort of error in payment (possibly having to do with routing PayPal through Apple Pay?) and customer service replied immediately and voluntarily opted to give me double the credits I paid for to make up for the inconvenience. So nice of them! I had to change my number because of a lady who would not respect my wish for her to text instead of call. She used to leave me tons of voicemails. I tried YouMail, which stopped the mail, but her number was unidentified so she could still ring me at any time of day multiple times. Now I gave her this number, and she is not able to call me at all, but we can still be in touch in case I need to tell her something. Thanks for your awesome feedback! 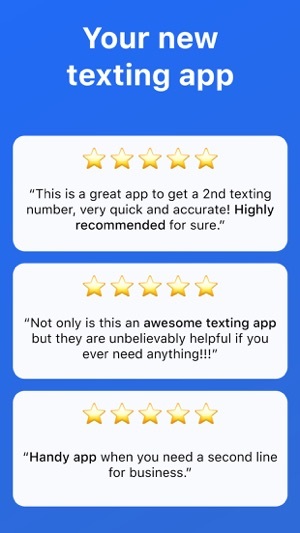 We're glad to hear that Second Texting Number is useful to you! I am leaving this review for the customer service more than the app. I only used the app one time and it does exactly what you would expect it to do. The only thing I did not like is it was not clear that I had somehow signed up for a monthly subscription that automatically charged my card $9.37 each month. I didn’t realize it until I had seen this random charge appear on my transaction history. I emailed the company to dispute the charge and they were AMAZING! They responded to my complaint very quickly and reimbursed me in a timely fashion. Please give these people a raise!!! With the holidays here, I was using this app to text a family regarding gifts for their kids , well when I didnt make payment for subscription, I lost contact info of the other person. I know I know , I should’ve saved their contact but I failed to do that. Well I messaged customer service and they went above and beyond to help me recover my old message thread and sure enough .... I found contact number and now we are delivering gifts to the family tomorrow as scheduled !!!! Excellent customer service. So awesome. Thanks again !! !